Speciality:Frozen Shoulder, Neil Asher Technique (NAT), Headache, Sciatica. Experience:Qualified in 2004 and has worked in and run a range of specialist musculo skeletal clinics. 4 year Batchelor of Osteopathy degree from the British School of Osteopathy, London | Cranial osteopathy | Sports injury massage | Neil Asher technique for treating Frozen Shoulder. 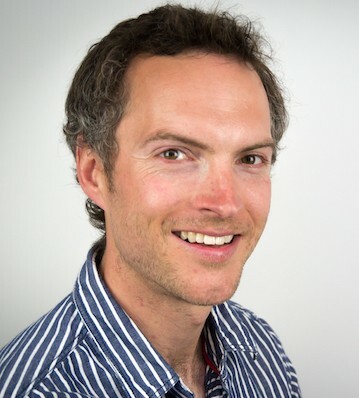 James Harvey (originally from Woolpit) graduated from the British School of Osteopathy in 2004. During the course of his training, James undertook work in various specialist clinics including a sport injury clinic and an expectant mother’s and children’s clinic. After qualifying James moved to Yorkshire and ran three successful practices one in Scarborough, one in Sheffield and one in Selby. James and his wife have now decided to relocate back to East Anglia to be closer to family, friends. Along with running Woolpit Osteopaths, James also works part time at Thetford Osteopaths and at the Southwold Treatment Rooms. James has undertaken post graduate training in cranial osteopathy, sports injury massage and the Neil Asher technique for treating Frozen Shoulder. He is a keen sportsman enjoying sailing and kite surfing, this has led to a good understanding of sporting injuries. James also has a particular interest in treating patients who suffer from headaches and neck problems and enjoys the challenge of this complicated subject. James also provides a Frozen Shoulder Clinic, find out more by clicking here.